Postal marketing is subjected to its own set of regulations and as we’ll find out, it might be a good alternative to digital marketing techniques. GDPR came into force on 25th May 2018 with the Data Protection Act, introducing EU law into the UK’s own legislation in preparation for withdrawal in 2019. The legislation extends additional rights to individuals and their data, safeguarding their privacy. The ICO (Information Commissioner’s Office) outlined steps that your business needs to take if it plans to market by direct mail. To create GDPR postal marketing, businesses need to highlight which of the six legal bases for processing personal data they are using. Of the six bases set out in Article 6(1), the one you’ll be dealing with most is a) Consent of the data subject. Article 4 of the EU GDPR defines consent as “any freely given, specific, informed and unambiguous indication of the data subject’s wishes by which he or she, by a statement or by a clear affirmative action, signifies agreement to the processing of personal data relating to him or her”. Unbundled - separate from other terms and conditions. Active opt-in - pre-ticked opt-in boxes are invalid. Named - your organisation and any other third-parties must be clearly named. Documented - keep detailed records that clearly outline what the individual has consented to. Easy to withdraw - individuals have the right to withdraw their consent at any time. Withdrawing should be easy to do. No imbalance in the relationship - consent isn’t given if there is an imbalance in the relationship between the individual and the controller. Individuals should have given at least a general indication that they are happy to receive marketing from your business. Otherwise, the marketing materials you send need to be consistent with previous products or services. If you’ve gained access to names and addresses through a bought list, you’ll still need the seller to verify that those on the list gave specific consent. These individuals need to have been offered a clear and genuine choice to have their details used for marketing purposes within the last six months. The Mail Preference Service allows people to opt out of receiving different kinds of mail. They may have suffered a bereavement and no longer need the mail for an individual or they may be tired of receiving spam. You’ll need to check to see if the addresses or names you plan to send to are registered with this service. In addition to targeted mail, registering with this service also prevents a consumer from receiving unaddressed material. Unaddressed mail is a way for organisations to target consumers in a specific area without knowing their name or address. They may instead be addressed to ‘The Homeowner’ but signing up with the Mail Preference Service prevents this. It’s still important for you to check with whoever made sure you were compliant when GDPR first was introduced before starting any new postal marketing campaign. Why Should Your Business Use Postal Marketing? Since the introduction of GDPR, the way in which businesses market themselves has changed dramatically. Organisations of all sizes are having to find new ways to reach their target audience. Consent isn’t needed for postal marketing and sending letters to customers is subjected to fewer regulations than email. You’re still able to send marketing materials to potential customers. You might think that the days of gaining customers through the post are long gone, particularly with the rise of email and social media. However, direct mail actually has a higher response rate than email. It’s easy to just ignore an email, especially if you receive hundreds per month (or even daily). But when you’re physically holding a well-executed letter, you’re more likely to engage with it and read the information. An email can feel quite cold and automated but a letter you receive in the post can make you feel more appreciated as a customer. Your custom is so valued that a business was willing to take the time to send mail. You might have a list of email addresses from customers that have signed up that can be used to send marketing materials. But these people might have multiple email addresses and might have signed up with one they know they won’t check. 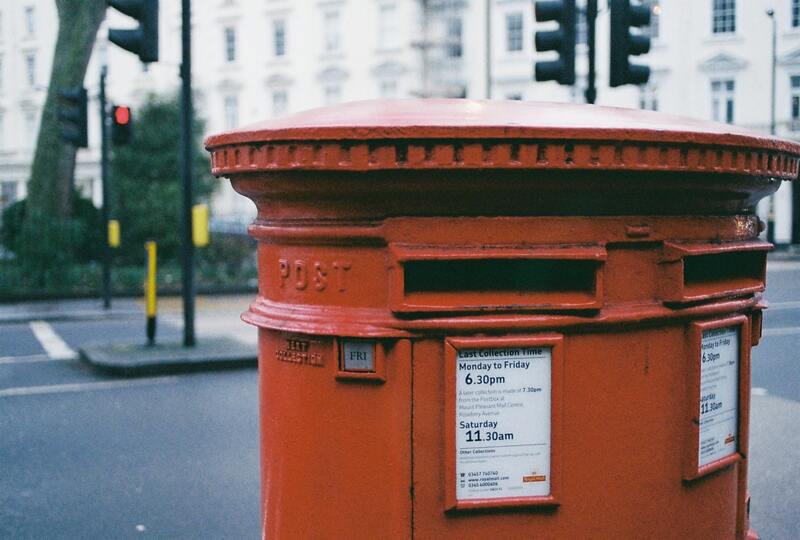 A person usually only has one residential address so they’re more likely to see anything you send them in the post. Postal marketing is flexible and can fit your business’ changing goals. Use it for short-term promotional purposes, helping you to receive a quick sales boost or send informational material that can help you to raise brand awareness. Easily monitor how many newsletters or flyers that are sent out and use vouchers or discount codes to track the response rate. This can help you to adapt your campaign in the future. Use direct mail as part of a wider marketing campaign, utilising it alongside digital methods like social media. Once you’re happy that you’re GDPR compliant, you can think about what you’ll be sending. Newsletters are a popular choice as they can be both creative and informative but it’s important to find the right print company to work with. When it comes to creating a newsletter, there’s a lot to consider, so make sure to download our free checklist. That way, you’ll be fully prepared to get your next print marketing campaign perfect.